March 2019: An independent, large evaluation study identifies Leo-III as the worlds leading higher-order automated theorem prover: See arXiv:1903.02539. January 2019: A research profile (self-portrayal) about my recent work was published by the it - Information Technology journal: See doi:10.1515/itit-2019-0001. December 2018: Together with Claudia Schon (U Koblenz), I was appointed Speaker (Sprecher) of the special interest group on deduction systems (Fachgruppe Deduktionssysteme) of the German Informatics Society (Gesellschaft für Informatik (GI)). Thanks for the trust! September 2018: I was awarded a Junior-Fellowship of the German Gesellschaft für Informatik (GI) at this year's #INFORMATIK2018 (September 26, 2018, in Berlin). See also the official press release (german). May 2018: The Modal Embedding Tool (MET) Version 1.0 has been released! Also see the LPAR-21 paper. May 2018: Our system description of Leo-III got accepted at IJCAR 2018 in Oxford. Also see the extended version of the paper at arXiv:1802.02732. April 7-12, 2019: Artificial Intelligence and Theorem Proving (AITP 2019), Obergurgl, Austria. June 17-21, 2019: International Conference on Artificial Intelligence and Law (ICAIL), Montreal, Canada. June 19-21, 2019: Formal Ethics 2019, Ghent, Belgium. August 25-30, 2019: 27th International Conference on Automated Deduction (CADE-27), Natal, Brazil. September 23-27, 2019: INFORMATIK 2019, Kassel, Germany. This is the personal homepage of Alexander Steen. I am a post-doctoral researcher at the Faculty of Science, Technology and Communication (FSTC) of the University of Luxembourg. I'm working on the automated theorem prover Leo-III, a reasoning system for classical higher-order logic (HOL) and further expressive, non-classical logics (including higher-order modal logics and deontic logics). My ORCID ID is 0000-0001-8781-9462. My current research interests include theory and practice of higher-order reasoning, including efficient data structures for higher-order theorem provers, and related implementation techniques. Furthermore, I'm interested in practical aspects and applications of logics and formal methods in computer science, mathematics and philosophy. Also, I like functional programming (e.g. in Haskell). In my freetime, I'm a bass singer in a choir for classical music of various periods and singer in a Schola Cantorum (Vokalschola), see "Links" section. Alexander Steen, Higher-Order Theorem Proving and its Applications (GI Junior-Fellow self-portrayal). it - Information Technology:60, ISSN 2196-7032, De Gruyter Oldenburg, 2019. Accepted for publication. Alexander Steen, Extensional Paramodulation for Higher-Order Logic and its Effective Implementation Leo-III. Dissertation, Freie Universität Berlin. Published in Dissertations in Artificial Intelligence (DISKI), volume 345, EAN/ISBN 978-3-89838-739-2, AKA-Verlag, 2018. Daniel Lee and Alexander Steen and Toby Walsh (Eds. ), GCAI-2018. 4th Global Conference on Artificial Intelligence. EPiC Series in Computing, volume 55, ISSN 2398-7340, EasyChair, 2018. Tobias Gleißner, Alexander Steen, The MET: The Art of Flexible Reasoning with Modalities. In Christoph Benzmüller, Francesco Ricca (Eds. ), 2nd International Joint Conference on Rules and Reasoning (RuleML+RR 2018), Proceedings, Springer, LNCS, 2018. Alexander Steen, Christoph Benzmüller, System Demonstration: The Higher-Order Prover Leo-III. In Christoph Benzmüller, Jens Otten (Eds. ), ARQNL 2018. Automated Reasoning in Quantified Non-Classical Logics, Proceedings, CEUR Workshop Proceedings, http://ceur-ws.org, volume 2095, 2018. Alexander Steen, Christoph Benzmüller, The Higher-Order Prover Leo-III. In Didier Galmiche, Stephan Schulz, Roberto Sebastiani (Eds. ), Automated Reasoning --- 9th International Joint Conference, IJCAR 2018, Oxford, UK, July 14-17, 2018, Proceedings , Springer, LNCS, Volume 10900, pp. 108-116, 2018. Alexander Steen, Leo-III: A Theorem Prover for Classical and Non-Classical Logics, Automated Reasoning Workshop 2018, Cambridge, UK (mildly reviewed). 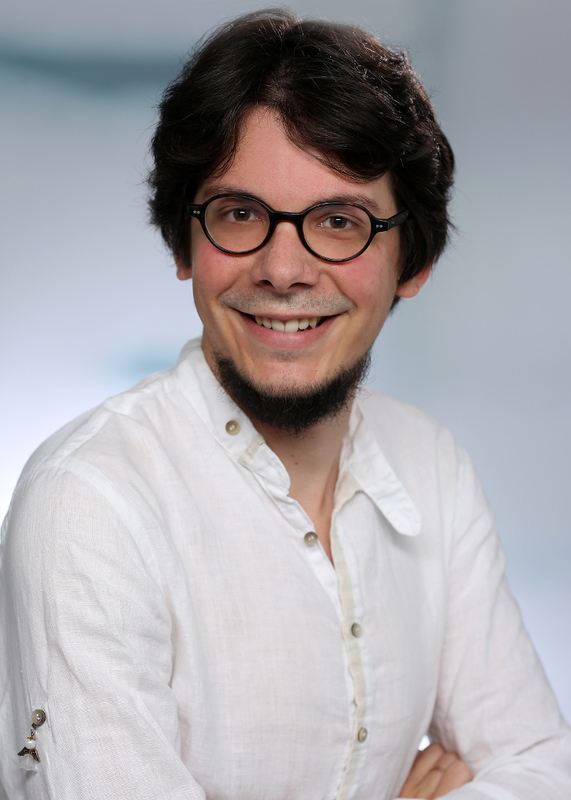 Alexander Steen, Christoph Benzmüller, The Higher-Order Theorem Prover Leo-III, arXiv:1802.02732, CoRR, 2017. https://arxiv.org/abs/1802.02732. Tobias Gleißner, Alexander Steen, Christoph Benzmüller, Theorem Provers for Every Normal Modal Logic, In Thomas Eiter, David Sands (Eds. ), LPAR-21. 21st International Conference on Logic for Programming, Artificial Intelligence and Reasoning, EasyChair, EPiC Series in Computing, Volume 46, pp. 14-30, 2017. Alexander Steen, Max Wisniewski, Christoph Benzmüller Going Polymorphic - TH1 Reasoning for Leo-III, In Thomas Eiter, David Sands, Geoff Sutcliffe and Andrei Voronkov (Eds. ), IWIL Workshop and LPAR Short Presentations, EasyChair, Kalpa Publications in Computing, Volume 1, pp. 100-112, 2017. Alexander Steen, Max Wisniewski, Hans-Jörg Schurr, Christoph Benzmüller Capability Discovery for Automated Reasoning Systems, In Thomas Eiter, David Sands, Geoff Sutcliffe and Andrei Voronkov (Eds. ), IWIL Workshop and LPAR Short Presentations, EasyChair, Kalpa Publications in Computing, Volume 1, pp. 113-118, 2017. Christoph Benzmüller, Alexander Steen, Max Wisniewski Leo-III Version 1.1 (System description), In Thomas Eiter, David Sands, Geoff Sutcliffe and Andrei Voronkov (Eds. ), IWIL Workshop and LPAR Short Presentations, EasyChair, Kalpa Publications in Computing, Volume 1, pp. 11-26, 2017. David Fuenmayor, Christoph Benzmüller, Alexander Steen, Max Wisniewski, Computer-assisted Assessment of Lowe's Modal Ontological Argument, In Stanislaw Krajewski, Piotr Balcerowicz (Eds. ), Handbook of the 2nd World Congress on Logic and Religion, Warsaw, Poland, 2017. Alexander Steen, Max Wisniewski, Christoph Benzmüller, Tutorial on Reasoning in Expressive Non-Classical Logics with Isabelle/HOL. In Christoph Benzüller, Raul Rojas, Geoff Sutcliffe (Eds. ), Second Global Conference on Artificial Intelligence (GCAI), Proceedings, EasyChair, EPiC Series in Computing, Volume 41, pp. 1-10, 2016. Alexander Steen, Christoph Benzmüller, Sweet SIXTEEN: Automation via Embedding into Classical Higher-Order Logic. In Logic and Logical Philosophy, Volume 25, No 4, Nicolaus Copernicus University, 2016. Tomer Libal, Alexander Steen, Towards a Substitution Tree Based Index for Higher-order Resolution Theorem Provers. In 5th Workshop on Practical Aspects of Automated Reasoning (PAAR 2016), Coimbra, Portugal, July 2016, Proceedings. CEUR Workshop Proceedings, Volume 1653, CEUR-WS.org, 2016. Max Wisniewski, Alexander Steen, Christoph Benzmüller, TPTP and Beyond: Representation of Quantified Non-Classical Logics. In C. Benzmüller, J. Otten (Eds. ), 2nd International Workshop on Automated Reasoning in Quantified Non-Classical Logics (ARQNL 2016), Coimbra, Portugal, July 2016, Proceedings, CEUR Workshop Proceedings, Volume 1770, CEUR-WS.org, 2016. Alexander Steen, Max Wisniewski, Christoph Benzmüller, Einsatz von Theorembeweisern in der Lehre. In Andreas Schwill, Ulrike Lucke (Eds. ), Hochschuldidaktik der Informatik, HDI2016 – 7. Fachtagung des GI-Fachbereichs Informatik und Ausbildung / Didaktik der Informatik ; 13.-14. September 2016 an der Universität Potsdam, Commentarii Informaticae Didacticae, Volume 10, pages 81 - 92, Universitätsverlag Potsdam, 2016. Alexander Steen, Max Wisniewski, Christoph Benzmüller, Agent-Based HOL Reasoning. In 5th International Congress on Mathematical Software, ICMS 2016, Berlin, Germany, July 2016, Proceedings, Springer, LNCS, volume 9725, 2016. Max Wisniewski, Alexander Steen, Kim Kern, Christoph Benzmüller, Effective Normalization Techniques for HOL. In Nicola Olivetti, Ashish Tiwari (Eds. ), 8th International Joint Conference on Automated Reasoning, IJCAR 2016, Coimbra, Portugal, 27 June - 2 July, 2016, Proceedings. Springer, LNAI, volume 9706, 2016. Alexander Steen, Christoph Benzmüller, There Is No Best Beta-Normalization Strategy for Higher-Order Reasoners. In Martin Davis, Ansgar Fehnker, Annabelle CcIver, Andrei Voronkov (Eds. ), 20th International Conference on Logic for Programming, Artificial Intelligence and Reasoning (LPAR), Suva, Fiji, November 2015, Proceedings, Springer, LNCS/ARCoSS, volume 9450, 2015. Alexander Steen, Christoph Benzmüller, Sweet SIXTEEN: Automation via Embedding into Classical Higher-Order Logic (Extended Abstract). Non-Classical Logic. Theory and Applications, Torun, Poland, September 24-26, 2015. Alexander Steen, Efficient Data Structures for Higher-Order Reasoners (Poster). Deduktionstreffen 2015, Berlin, Germany, 2015. Max Wisniewski, Alexader Steen, Christoph Benzmüller, LeoPARD - A Generic Platform for the Implementation of Higher-Order Reasoners (Project Paper). In Manfred Kerber, Jacques Carette, Cezary Kaliszyk, Florian Rabe, Volker Sorge (Eds. ), Intelligent Computer Mathematics - International Conference, CICM 2015, Washington, DC, USA, July 13-17, 2015, Proceedings , Springer, LNCS, volume 9150, pp. 325--330, 2015. Alexander Steen, Max Wisniewski, Embedding of First-Order Nominal Logic into HOL. In Jean-Yves Beziau, Safak Ural, Arthur Buchsbaum, Iskender Tasdelen, Vedat Kamer (Eds. ), 5th World Congress and School on Universal Logic (UNILOG'15), Handbook of abstracts, Istanbul, Turkey, pp. 337--339, 2015. Alexander Steen, Efficient Data Structures for Automated Theorem Proving in Expressive Higher-Order Logics. Master Thesis, Freie Universität Berlin, 2014. Max Wisniewski, Alexander Steen, Christoph Benzmüller, The Leo-III Project. In Alexander Bolotov, Manfred Kerber (Eds. ), Joint Automated Reasoning Workshop and Deduktionstreffen, Vienna, Austria, pp. 38, 2014. Max Wisniewski, Alexander Steen, Embedding of Quantified Higher-Order Nominal Modal Logic into Classical Higher-Order Logic. In Christoph Benzmüller, Jens Otten (Eds. ), 1st International Workshop on Automated Reasoning in Quantified Non-Classical Logics (ARQNL 2014), Vienna, Austria, Proceedings, EasyChair, EasyChair Proceedings in Computing, volume 33, pp. 59--64, 2014. Alexander Steen, Generation and State-Space Reduction of Program Graphs for Non-deterministic Programs. Bachelor Thesis, Freie Universität Berlin, 2012. I completed the advanced training certificate for unversity teaching (Hochschuldidaktisches Lehrzertifikat) of Freie Universität Berlin (Support für die Lehre). Interested in writing a bachelors or masters thesis in the context of automated theorem proving? Feel free to contact me via e-mail. Collegium Academicum Berlin e.V., at which I am serving at the steering committee. Simple manual on how to create infinitely many ice cubes in practice (German): "...und einfach beliebig viele Eiswürfel entnehmen"
Nitpicking Lambda-Free Higher-Order Logic, Retracted manuscript, original version, 2019. See also the discussion on the Matryoshka mailing list. The Drinking Philosophers Problem: Resource Allocation in Distributed Systems, Seminar paper on Distributed Programming, 2014. Alexander Steen, last edited March 22, 2019.